Paypal is one of the most widely recognised payment methods on the web these days. It's safe, fast and is available on thousands on websites including online bingo sites. Paypal allows the player to enter their bank account and/or bank card details just once when they register, they can then log into their Paypal to make a deposit without the need to enter their payment details again. Another perk of using this payment method is that it's completely free to use. If you’ve ever bought an item online then it’s likely that you’ll be familiar with Paypal. It’s the preferred method of payment for millions of online shoppers and auction lovers and provides a quick and simple means of transferring money to friends and family. For those who have never heard of Paypal, it is a website that offers a safe and secure method of transferring money and making payments online. Paypal was founded back in 1998 and has become one of the world’s most trusted means for making payments on the internet. The site boasts around 173million active accounts with a whopping four billion payments being made through the site each year. While the majority of Paypal customers use the system to pay for goods, it can also be used to make deposits at online bingo sites. The company went through a stage in the early 2000s where it stopped working with gambling websites but since then it has refined its policy and has become a widely used method of payment for many online bingo providers. There are over 230 million Paypal accounts across the globe and this payment system is becoming more and more popular, especially in the online bingo community as it's so easy to use and notoriously safe and secure. Paypal have only recently allowed online gaming sites to use their e-wallet as a payment method after relaxing their rules. Only bingo sites they have pre-approved can offer Paypal so players can be safe in the knowledge that only the most reputable online bingo sites will have the Paypal logo on site. 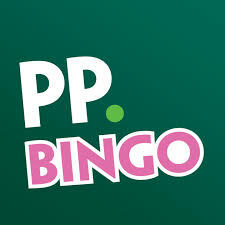 Another benefit of using Paypal to fund your bingo account is the cover you receive in the event of any fraudulent transactions, the support team are really on the ball, so if you do have a problem, you can be sure it will be dealt with promptly and professionally by a member of the Paypal team and your money will soon be refunded. Paypal always works in the customer's favour so if there are any issues with a transaction you literally contact their support team (there are numerous ways to do this) and you'll soon have your money back under the Paypal guarantee. Deposit £5 and play with £40. 18+, T&Cs apply. Excellent site powered by NetEnt and IGT software, huge number of games to play including progressive jackpots and exclusive bingo rooms. Minimum withdrawal just £10 and deposit with Paypal. Free Bingo newbie room for your first 10 days. Deposit £10 get £40 to play with a 300% welcome bonus. Little Miss Bingo has loads of slot games for depositing players from IGT. 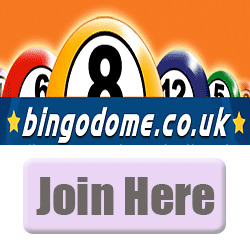 Loads of Bingo to enjoy on this bright, fun site, along with plenty of offers. Follow the Facebook page for competitions! Deposit £10 play with £40, 150% bingo bonus and 150% slots bonus. New 888 bingo site with a cute theme. Dragonfish bingo software with slots and games and a generous sign up bonus. Huge guaranteed jackpot games, popular slot favourites and 90 and 75 ball bingo games. New Site from Cozy Games running on the Lucky Duck Network. Play an outstanding amount of bingo games, also, casino games, slots, scratch cards and mobile games with software provided by Cozy and Microgaming. Slots include, Cupids Arrow, The Hunt and Coffee House. Betvictor is a huge site powered by some of the biggest software providers, NetEnt, Microgaming, Openbet, IGT, Evolution and more. Offering a vast array of sports betting, casino games, slot and mobile more. Slot games include, Starburst, Fireworks and Family Guy toname but a few. Choose your own first deposit bonus. Play slots, Bingo, Progressive Jackpot Games, Scratch Cards and more at Bingo Irish, Using Dragonfish software, play 75, 90 and high 5 bingo games, top slots. Get a 700% first deposit + 10 spins, with code BLIGHTY. NO wagering requirements either! New Bingo site running on the Dragonfish Network. Blighty bingo offers bingo games, free bingo, jackpot games and slots. Betfred not only offers bingo, but sports, casino and games too so a good all rounder. The site has many promotions including large jackpot giveaways. Play £10, get £50 of Free Bingo plus 30 Free Spins on Paper Wins. Heart FM Radio's very own bingo games site using Gamesys software featuring 90 ball bingo, slots, huge 400% cash match on first deposits. Now accepts Paypal. Deposit £10 and claim £70 worth of bingo tickets and 10 bonus spins. Expect to see 'hunky' men dotted around this bingo site, eye candy is never a bad thing really we guess- unless you're not female in which case maybe not. 450% welcome bonus, site accepts Paypal. Deposit £10 GET 50 bingo tickets. Get 100% up to £50 plus 25 bonus spins on Ninja Master. Software providers for Simba Games are WMS Gaming, NetEnt and SkillOnNet with a wide variaety of games on offer including, Cash Spin, Ruby Slippers and Bruce Lee. Also providing video slots, Scratch cards, roulette games and live casino. Slots players will love this site just launched in Autumn 2016. Huge big name slot games available. Chit Chat Bingo is powered by Dragonfish software. Play 75 and 90 ball bingo games for as little as 1p and be in with a chance to win huge jackpots. A great selection of new slot games. Casino games available. Smart looking site and easy to navigate. Loyalty scheme for all players. Register and deposit £10 or more for £70 worth of Bingo Tickets and 10 Bonus spins use code: UMBINGO. EXCLUSIVE! Sign up for 100% up to £400, plus 50 bonus spins use code BIGBONUS. Powered by big names such as NetEnt, Wink Slots is a new casino site for 2016. Offering casino games, mobile games and slots. Top slot games include, 4th July, Nightmare on Elm Street and Cashino. Great offers and bonuses, loyalty scheme available to registered players. PayPal accepted. The Sun's online bingo game is the most renowned in the industry with huge jackpots, previous prizes have included a house, that's right, a house! Betway offer sports betting on horse racing, tennis, golf, football and pretty much every available sport. Double your first deposit as a new player. Accepts Paypal. 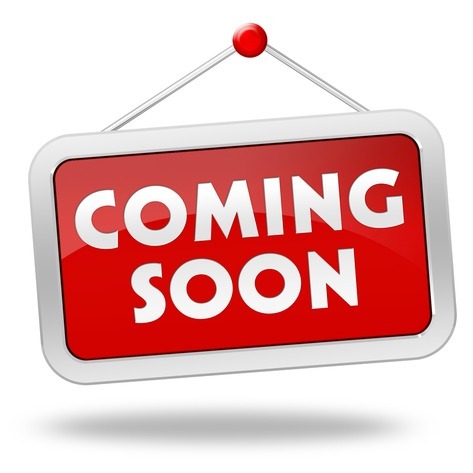 New Mandalay Media bingo site Wanted Bingo is set to launch during August 2015. Wanted Bingo is set to launch over the next few weeks, bought to us by the company behind Costa and Dino Bingo. Cozy Games brand Hippy Bingo is coming soon to the Dragonfish network. NEW: Join Easter Bingo and receive 300% Bingo bonus plus 30 bonus Spins. Owned by Cassava and powered by Dragonfish software, Easter Bingo is the new seasonal Site on the block. Offering 75 and 90 ball bingo games and a selection of slots, including, Starburst, Gonzo's Quest and Irish Luck. Loyalty scheme available and refer a friend scheme. PayPal accepted. Deposit just £5 and get £25 bonus! 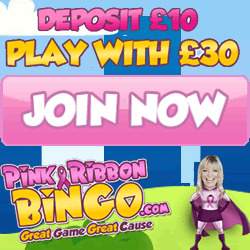 Register and deposit £10 or more to receive 120 bingo tickets. NEW: Operated by Cassava and running on Dragonfish software, Crocodile Bingo has an Aussie theme going on. Play 75, 90 and high 5 bingo games, casino games, scratch cards and slots including, Sugar Train, Piggy Payout and Shaman's Dream. Loyalty scheme available. PayPal accepted. Register and deposit £10 get 120 free bingo tickets. New Bingo site from Cassava/888. Using Dragonfish and NetEnt software, play 75, 90 and high 5 bingo games, slots, scratch cards and mobile games. Top slot titles include, Fluffy Favourites, Sugar Train and Enchanted Prince. Refer a friend scheme available. PayPal accepted. 5 Bonus Spins, 100% first deposit up to £50. Fab new slots and games site from the guys behind Costa, Dino and Frozen Bingo. Powered by Dragonfish software with the latest Netent slots including, Starburst and South Park. Upon registration you will be part of the Costa Games VIP club, earning points and bonuses as you deposit. PayPal accepted. Register and deposit to get 120 Bingo tickets. Brought to you by the 888 Group and running on the Dragonfish network, go back through the ages as you play at Kingdom of Bingo. Bingo games include, 75, 90 and High 5, slots available from Dragonfish, NetEnt, IGT and more. 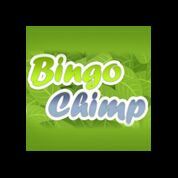 Bingo Chimp runs on the Cozy Games software and offers all the usual Cozy games treats. Play 30, 50, 75, 80 and 90 ball bingo games. Play classic casino games such as Poker, Blackjack and Poker. Brand new Bingo site brought to you from Cassava, running on Dragonfish software. Featuring 75 and 90 ball bingo games, casino games and top slots from software giants NetEnt. Loyalty scheme and refer a friend bonus available. PayPal accepted. NEW 2016 : Operated by Cassava and powered by some of the biggest software providers including NetEnt, WMS, Dragonfish and Casinoflex, Vegas Spins is a smart looking site offering over 200 casino and slot games. Top titles include, Steam Tower, Piggy Payout and Cleopatra. Lots of bonuses and free spins on offer here. Deposit £10 play with £40! Get a 200% bingo bonus plus 100% slots bonus. T Rex Bingo is another Dragonfish launch for 2015, owned by 888. 75 ball and 90 ball bingo plus lots of slots and games. Big welcome bonus of 200% plus a 100% slots bonus. Deposit £10 get £20 to play with the 200% deposit bonus. Tasty Bingo is bought to us by the people behind Wink and Posh Bingo so we know that we are in for a treat. Tasty Bingo offers free bingo games every day of the week. Deposit £10 play with £40. Launched in 2016, Snowy Bingo is a new site operated by Cassava and uses Dragonfish software. A chilly feel to this cool site, offering 75 and 90 ball bingo games, scratch cards, casino games and slots. Top slot games include, Wizard Of Oz, Starburst and Cleopatra. Loyalty scheme available. Deposit £10 get £40 to play, with 300% welcome bonus. Now owned by NetBoost Media the team behind Moon Bingo, Robin Hood and Sugar Bingo. Free daily bingo games plus jackpots up to £1million. Paypal accepted. Spectra Bingo runs on Dragonfish software and has now been refreshed and updated by its new owners Tarco Ltd, the company behind Moon and Polo Bingo. Find 90 ball, 75 ball and High5 Bingo plus fab slots from top provider NetEnt. Join Spy Bingo and receive 300% first deposit bonus, deposit £10 get £40 to play with. Ireland's most successful bookie with betting shops throughout the UK, company listed on the stock exchange. Free match bet offer, Paypal accepted and low minimum deposit of just £5. First time depositors only. 250% Bingo Bonus on a minimum deposit of £10. Maximum bonus £100. Bonus has to be wagered X4 times before can be cashed out with its respective winnings. Winnings from bonus money can be cashed-out up to a value of £400. Withdrawal restrictions apply. General Site T&Cs apply. Nutty Bingo is operated by Gaming Realms and uses the Cassava and Dragonfish software. You'll find the usual games with a few extra perks not available on other sites. New players get £5 no deposit bonus plus deposit £10 get £20 to play with 100% welcome bonus. 18+. New players only. No deposit required. Bonus awarded as bonus credit & cannot be withdrawn. Max withdrawal without depositing is £200. You can withdraw any unspent deposit, in addition to the funds in your cashable credit account. T&Cs apply, BeGamble Aware. MFortune Bingo offers 90 and 80 ball bingo to mobile players across 99% of mobile phones. This site runs on the popular Dragonfish software after moving from Virtue Fusion in 2013. Gaming Realms now own the site. Live Bingo isn't just a network site, it does have its very own standalone bingo rooms too. Register and deposit £10 get £20 to play with 100% welcome bonus + £20 worth of bingo cards. New bingo site for October 2015 by the company behind Moon Bingo, Polo Bingo and Sugar Bingo. Loony Bingo runs on Dragonfish bingo software with fab 75 and 90 ball bingo plus a free bingo room. Find great slots like Cleopatra, Fluffy Favourites and Rainbow Riches. Pay by Paypal available. A bingo site that was introduced in 2015 from Gaming Realms, powered by Dragonfish software. No lose bingo for newbies, Charm Chaser game and free bingo every day. Paypal accepted. Register and deposit £10 to play with 10 spins, plus £70 of free bingo tickets and entry in to the £100 prize draw. Register and choose your first deposit bonus. 400% welcome bonus, deposit £10 get £50 to play. Game Village has recently changed to the Cozy Games platform and features Microgaming slots. Great fun, and a good bonus for new players. Register at Glorious Bingo and Deposit £10 get £20 to play, with a 100% welcome bonus. Glorious Bingo is owned by Cassava and runs on Dragonfish software, this site could do with a makeover! Play 75, 90 and High 5 bingo games, mobile games and slots including, Irish Luck, Secret Garden and White Wizard. Loyalty scheme and refer a friend available for registered players, PayPal accepted. 100% first deposit bonus up to £50, deposit £10 get £20 to play with. Brought to you rom the team at Ignite, Deep Sea Bingo runs on the Dragonfish Network and offers players, 75, 90 and high 5 bingo games, free bingo, slots and scratch card games. Low minimum deposit of just £5. Bright, pink and sweets are the idea behind this New Dragonfish bingo site operated by Gaming Realms the company behind Iceland, Bubble Bonus and Lucky Charm Bingo. Play free bingo games, 75, 90 and High 5 bingo, Casino games and slots. Earn monthly slots and bingo rewards with the loyalty scheme. 300% welcome bonus on your first deposit. Deposit £10 get £40 to Play. comfy Bingo uses Cozy Games software. Offering a great selection of bingo games including 30, 50, 75, 80 and 90 ball games for as little a 2p! Featuring some of the top slot games like, King Of Slots and Lucky Clover. Win cash bonuses for free, join in the Bingo Xtravaganza at Comfy Bingo. BBQ Bingo is new with a 300% bonus for newbies, deposit £10 get £40 to play plus a 100% slots bonus. New Dragonfish bingo site for summer 2015, BBQ Bingo what a name hey but such a cute design. £1,000 jackpot games every month, more than 100+ slots to play. Paypal accepted and minimum deposit just £5. Register and deposit £10 get £40 to play with a big 300% bonus. *Key Terms: 1) Min. deposit of £10. 2) 300% Match Bonus Offer is valid for new customers only. 3) The maximum bonus is £/€/$150 and will be instantly credited with 300% up to £120 Bingo Bonus (Bbz) and 100% up to £30 Casino bonus account upon a successful 1st deposit. 4) Wagering on Casino & Bingo Bonus applies (50 x casino and 3x bingo). 7) Additional terms apply – click here for full details. Betway Bingo is powered by Dragonfish software and features top quality bingo games including 75 and 90 ball bingo, as well as a free bingo bonus when you join. Enjoy a big 300% bonus on your first deposit and free spins on the stated slot game. New players register and deposit £10 get £40 to play with a 300% welcome bonus. 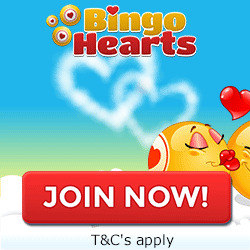 Bingo Hearts is a bingo site running on the Dragonfish software and network. 300% welcome bonus. Play 75 and 90 ball bingo games, casino and mobile games. Top slots include, Starburst, Gonzo's Quest and Wizard Of Oz. Register and get a 200% welcome bonus on deposits up to £200. Big Brother Bingo has been re-branded and is now Bingo Loft. Offering 90 ball, 75 ball and progressive jackpot bingo games. Powered by Dragonfish software. 200% welcome bonus so deposit £10 get £20 to play with. Operated by Cassava and running on the dragonfish Network, Bingo Street offering 75, 90, progressive bingo jackpots and High 5 games. Casino, mobile and slots on offer. Play Free bingo games or wager for a chance to win. PayPal accepted. First time depositors only. 150% Bingo Bonus on a minimum deposit of ?10. Maximum bonus ?100. Bonus has to be wagered X4 times before can be cashed out with its respective winnings. Winnings from bonus money can be cashed?out up to a value of ?400. Withdrawal restrictions apply. General Site T&Cs apply. Operated by Cassava and powered by Dragonfish software, Brits Bingo is a fresh looking site, offering free daily bingo games, 75, 90 and High 5 bingo games. Loyalty scheme and refer a friend on offer to all players. Buttercup Bingo offers new players a welcome bonus where you can deposit £10 and get £40 to play. Buttercup Bingo runs on the Live Bingo Network and is powered by Cozy Games. Offering quite a good selection of bingo, casino and slot games. Play 50, 75, 80 and 90 ball bingo games, casino games such as Blackjack and Roulette. Butterfly Bingo use Dragonfish software and is managed by Quickthink Media. Play 75, 90 and high 5 bingo games, or try your hand in the free bingo rooms, play before you pay. Casino games, Monopoly, Snakes and Ladders and slot games. Loyalty scheme and refer a friend bonus on offer. *New Players Only. 300% Bonus. Terms Conditions and Wagering Requirements Apply. Deposit £10 GET 70 bingo tickets. Queen Bee Bingo is buzzing with a great selection of 75 and 90 ball bingo games, if you fancy a break from bingo play over 300+ slots from leading software providers including NetEnt. Register at 32 Red Bingo for a free £5 no deposit bonus, plus deposit £20 get £32 to bonus. New members receive £5 no deposit bonus, £32 when depositing £20 for the first time and 25% on all reloads up to £50. Wish Bingo is full of Arabian themes and brilliant offers. Enjoy fantastic bingo rooms along with slots, progressive slots, scratch games, table games along with a generous loyalty scheme for VIP players. With games brought to you by NetEnt, Blueprint Gaming, Ash Gaming, IGT and WMS you won't be disappointed! 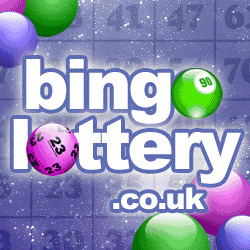 Register and deposit £10 and get 120 bingo tickets. Giant Bingo runs on the Ignite network with sister sites such as Costa Bingo. Using Dragonfish software Giant bingo has loads to offer players. All roomies are offered free bingo games 24/7 for a chance to win without depositing. Play popular slots including Sugar Train, Fluffy favourites and Shaman's Dream. PayPal accepted. Register and deposit £10 get 120 free bingo tickets. Terms Apply. Sparkly Bingo runs on the Ignite Bingo Network with other bingo sites such as Costa Bingo and is powered by Dragonfish/888 software. Get £12.50 in bonuses with a deposit of just £5. Gain 24 hours of access in the Dream Room where you can play free. Deposit £10 play with £40 - 300% first deposit bonus. New site from 888, runs on the Dragonfish Network with 75 ball, 90 ball bingo, Scratch Cards, mobile games and slots. Swanky Bingo runs on Cozy Games Software and offers players a great selection of Bingo, Casino and slot games. Play 30, 50, 75, 80 and 90 ball bingo games, Roulette, Poker and Keno and top slot titles, loyalty scheme and refer a friend available. Play Rainbow Riches, Clover Rollover and Deal or No Deal: Bankers Riches among loads of other great games, with over £6 million in slot jackpots. Head to the Boutique Room to win up to 5K every day. Paypal accepted. Operated by Cassava 888, Arcade Spins offer a great selection of top slot titles from some of the big software providers including NetEnt, Eyecon and Barcrest to name but a few. Top slot titles include, Guns N' Roses and Zeus 1000. Paypal accepted. New players register and deposit £10 get £100 worth of bingo tickets and 10 bonus spins. Roll up, roll up for the circus! 3 exclusive bingo rooms plus 75, 90, 80 ball bingo games and slots. Not your typical Dragonfish Bingo site! Deposit £10 get £30 to play plus 50 bonus spins. Fun new bingo site running on the ever-popular Dragonfish bingo software. Play free bingo in 6 different rooms, find progressive jackpots and chat games. Free cupcake when you deposit, yummy! NEW bingo site from Cassava/888, running on the Dragonfish Network. 75 and 90 ball bingo games available, plus over 300 Slot games from NetEnt and Dragonfish. PayPal accepted. Get a 200% bonus on your first deposit up to £50 and also receive 50 sure win spins. SPEND/PLAY 10 get 30 bonus spins’ applicable on Double Bubble + up to £50 bingo. JackpotJoy Bingo has been going ages now but continues to be one of the best loved bingo sites in the UK. You might have seen Barbara Windsor in the popular TV ads - she's the Queen of Bingo you know! Jester Jackpots is powered by Dragonfish and NetEnt software, the site is operated by Gaming Realms the company behind Spin Genie. Fab slot and casino site with large selection of games including Millionaire Genie, Rainbow Riches and Fluffy Favourites. 300% Welcome Bonus. So deposit £10 get £40 to play with + 100 spins. As seen on TV, Kitty Bingo brings you all the best bingo, slots, casino games, scratch and instant wins. Great deposit bonus for newbies plus you can also get cashback for life on all losses - what could be better than that? Register at Pixie Bingo deposit £10 get £100 worth of bingo tickets and 10 bonus spins. Pixie Bingo is the latest bingo site to launch from Cassava who brought you Circus Bingo. Play 75 and 90 ball bingo games along with slots and casino games from software providers NetEnt, IGT, Random Logic and Gamesys. Register and deposit £20 get £60 to play + 20 bonus spins. NEW: Real Deal Bingo is a new online bingo site from Cassava, offering 75 and 90 ball bingo games and slots from software providers NetEnt, WMS, Dragonfish and Eyecon. VIP scheme available with a good selection of deposit methods including PayPal. Deposit £10 and get £30 to play plus 40 free spins with code: COACH with at Red Bus Bingo. Red Bus Bingo is part of the Joy of Bingo Network, home to Wink Bingo and Tasty Bingo. The site has plenty of games and promos to keep you busy. Get a 50% reload bonus on every deposit made at Red Bus Bingo. Register and deposit £10 get £50 to play with a 400% welcome bonus + 50 spins. Get 200% welcome bonus up to £77 + 7 bonus spins. Sugar Bingo is the sweetest online bingo site promising loads of 75 and 90 ball bingo, slots, casino and instant win games, bonuses and daily promotions. Deposit £10 get 600% worth of bingo tickets (Up to £60 tickets) + 50 bonus spins. Do you have a sweet tooth? If so Sweet Shop Bingo is the place to be, sugar coated bonuses and great games available including, 75, 90 and high 5 bingo games, slots and casino games with software provided by Dragonfish, NetEnt, SG Interactive and Eyecon. Low minimum payment of £5. New: Register at Tip Top Bingo and get 200% Welcome bonus, deposit £10 get £30 to play + 50 bonus spins..
Brought to you by United Commissions who are responsible for the likes of Moon Bingo, RobinHood Bingo and Looney Bingo. Tip Top Bingo is powered by New Dragonfish Software. Offering a great selection of bingo and slots. Top slot titles include, Starburst, Pixies Of The Forest and Rainbow Riches. PayPal accepted. New Bingo site from Tau Gaming. Play 90, 75 and 52 ball bingo games and slots from software providers including NetEnt, NextGen and Thunderkick. Live chat and phone support available. Loyalty program. More than 200+ games powered by top software providers including Bally, IGT, Wagerworks and Microgaming. 10 bonus Spins New Players Only. 100% first deposit bonus up to £100 + 100 bonus spins. Slot Crazy is a Dragonfish powered slots site from the guys behind Costa Bingo, Sing Bingo and Dino Bingo. Find your favourite slots such as Starburst, Gonzo's Quest, Spiderman and Rainbow Riches plus big progressive games too. Pay by Paypal. 100% first deposit up to £200. New Slots site from Cassava Enterprises. Slot based site offering over 200 high quality Slot and Casino Games from software giants NetEnt, IGT, 888, WMS and more. Slot titles include, Starburst, Bruce Lee and Cash Stax. Coral who have a Sports-Betting, Lotto, Poker and Casino site have a great addition with newly redesigned Coral Bingo. The site runs on Playtech software and you'll find a huge choice of exclusive bingo games, slots and progressives including Coronation Street. 18+. New customers only. Use code BINGO. £20 in Bingo Bonus for first deposit of £10. Available for purchasing Bingo tickets only. 3-day expiry on the Bingo Bonus. 4x wagering on Bonus. Bonus amount can’t be withdrawn. £10 min deposit + 2.5% fee (min 50p). Not available using Neteller or Skrill. Cash balance withdrawable anytime + £2.50 fee. Full T&C apply. bgo is one of our most unique Bingo sites, running on cutting edge software from Playtech, NetEnt and Proprietary. The site offers 75 and 90 ball bingo games, casino games and a massive selection of Slot games, these include some of the Top Slots, Starburst, Cleopatra and . Deposit £10 get 30 bonus spins on Secrets of the Phoenix. The only dedicated UK slots site, Star Spins from Gamesys Ltd offers everything slots! Featuring slot titles from software providers, WMS IGT and Gamesys. Play classic slots, video slots and progressives, top slot titles include, Nordic Heroes, Rainbow Riches and Cleopatra. PayPal acceted. Running on Dragonfish and NetEnt software, BingoZino has a selection of Bingo games include 75 and 90 ball options, plus slots. PayPal accepted here. Operated by 888 UK Ltd, Bid Bingo has recently undergone a re-vamp. Running on Dragonfish and NetEnt games software, this site offers 75, 90 and High 5 Bingo games with a small selection of slot games. PayPal accepted here. Players get 20 no deposit spins on sign up, 100% bonus up to £100 when making their 1st, 2nd, 3rd and 4th deposit. New UK players only. 20 Free Spins on sign up. Deposit bonus: 100% up to €/£100 Bonus + 20 Bonus Spins,on each of your first 4 deposits. €/£10 min deposit (Skrill, Neteller excluded). €/£5 min. wager to activate BonusSpins. All spins only valid on Book of Dead and expire after 7 days. 35x wagering on eligible games (€/£5 maxstake) before Bonus, Free Spin or Bonus Spin winnings can be withdrawn. Eligibility restrictions apply. Please play responsibly. Full T&C's below New players only. 20 Free Spins issued upon sign up are only valid on Book of Dead and expire after 7 days.35x wagering (€/£5 max stake) before winnings can be withdrawn. Eligibility restrictions apply. Click for fullT&C's. Please play responsibly. .
Fab casino with huge variety of slots and games from software providers including NetEnt and Microgaming. Titles include Stickers, Foxin Wins, Wheel of Fortune and Monopoly. New Cozy Site for 2017, running on the Live bingo Network. A huge selection of bingo games including 35, 50, 75 and 90 ball games as well as slots, casino games, scratch cards and more. 18+ Only, T&C's Apply. Please Gamble Responsibly. Cyber Bingo has been online since 1996 and has a large number of players. Site powered by Bet On Soft and Vista Gaming software. CyberBingo has just become mobile optimised and has no wagering requirements. Play 75 and 90 ball bingo games, casino games, slots and table games. Loyalty scheme and refer a friend bonus on offers at Cyber bingo. Deposit £10 get £20 to play with plus get 10 bonus spins each on your first 5 deposits. Register and receive 10 bonus spins no deposit, 100% up to £100 + 25 bonus spins. SPINZILLA has been re-vamped for the better. With a great welcome offer and promotions running continually throughout the year, there's a huge selection of slots, arcade, casino and scratchcard games from big names such as NetEnt. Owned and operated by Daub Alderney, Bingo Extra has launched offering a great bonus for new players. Bingo Extra is bought to us from the guys behind Lucky Pants Bingo and Kitty Bingo. Register and deposit to spin the Mega Wheel to win up to 500 bonus spins. Spin and Win uses 3 different software providers (NetEnt, Microgaming, IGT and Sheriff Gaming) to give you a steady stream of exciting new slot games. Slots include Cleopatra, Starburst, Stickers and Fluffy Favourites. Register and deposit £10 get a £30 bonus. Boyle Bingo is part of the Boylesports Group, Ireland's largest and fastest growing independent bookmaker and online games provider. The site offers a number of games including slots, scratch cards and instants as well as 75 and 90 ball bingo. Enjoy the loyalty scheme provided at Boyles Bingo. Deposit £10 and play with £35 at Bingo Fabulous up to £100. This site belongs to the Joy of Bingo network, home to Tasty Bingo, Wink Bingo and RedBus Bingo. Bingo Fabulous offers players 75, 90 and High 5 bingo games. Fabulous also has a loyalty scheme. PayPal accepted. Get a 77% deposit bonus up to £777. Fab slots and games site, more than 200+ games from NetEnt, Eyecon and WMS. Latest slots titles including Rainbow Riches, Starburst and Piggy Riches. Progressive jackpots of £3.4 million available. Paypal accepted. Play with £50 and 10 bonus spins. NEW: Ted Bingo is brought to you from Cassava 888, who have launched some of the top brands in Bingo sites including, Looney Bingo and Moon Games. Software is provided by NetEnt, Nexgen, Eyecon, IGT and more. Play Bingo games and top slot titles including, Guns N' Roses, Fluffy Too and Starburst. Earn cash back in the loyalty scheme at Ted Bingo. Launched on the Cozy Games platform. Games include 90, 75 and 30 ball bingo games, with an array of top slot games to play. Play classic casino games. All available on mobile so play on the go. Bright colourful Cozy Games network bingo site, perhaps looking a little outdated now. Play 30, 40, 50, 75, 80 and 90 ball bingo games. Selection of Top slots on offer. On your first deposit get 300%. Make a deposit of £10 get £40 to play with. Powered by Cozy Games and a member of the Best Bingo Network this site gives offers you lots of bingo games including 30, 50, 75, 80 and 90 ball games for as little as 1p! Casino games, scratch cards and slot games, including Wild Vegas and Mystic Wilds. Monthly offers and deposit specials. Register to receive a 300% first deposit bonus, deposit £10 get £40 to play with. Join the Eskimos at Igloo Bingo for some cool bingo gameplay. Brought to you from Cozy Games, this site offers a great selection of Bingo Games, Slots, Scratch Cards, Casino games and more. Good selection of payment methods available including Boku. Design is looking very dated, possibly no redesign since launch more than 10 years ago. The site is powered by the Dragonfish software. Play 79 and 90 ball bingo plus Swedish bingo. Casino games include, Hi Lo, Roulette, Video Poker and Scratchcards. Video slots include, Irish Luck, Super Nova and Starburst. Get a first deposit bonus based on your first deposit amount, Deposit between £10 and £500 for a 50% Bingo Bonus Deposit between £15 and £500 for a 67% Bingo Bonus Deposit between £20 and £500 for a 100% Bonus + 20 spins on Fluffy Favourites. 18+, please gamble responsibly, T&C's apply. New players 18+ only | Deposit bonus is based on the deposit amount | £10 min & £500 max dep | 20 Extra Spins (7 day expiry) on fluffy favourites slot game with min dep of £20 | Wagering requirements 4x on Bingo apply on deposit bonus & 40x on slots apply on winnings from the extra spins | T&Cs apply. Vampire Bingo has a lovely looking site with a good range of bingo rooms as well as some of the most popular slot and instant win games such as Rollin in the Dough and New Honey Beez. Deposit £10 get £20 to play with 100% welcome bonus. New players only. Min. deposit for the 100% bingo bonus is £10. Max bonus offered is £100. To withdraw bonus & related wins, wager 4x the amount of the bonus funds received as part of this offer. Withdrawal restrictions and Further T&Cs apply. Time Bingo offers promotions for newbies as well as veteran players. Play 30, 75, 80, or 90-ball online bingo both on your PC or mobile device. Some games have unique progressive jackpots and tournaments. 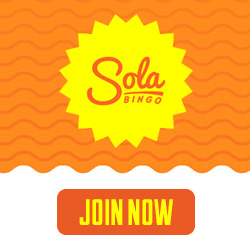 Sola Bingo is brand new to the Live Bingo Network. Newbies get a 300% welcome bonus. Site also has the Swedish language available. Sola bingo is new to the Live Bingo Network using Cozy Games software. Register and deposit to get a 300% bonus. E.g Deposit £10 get £30 bonus. Join the Gold Rush at this new Cozy Games Western style bingo site. Good selection of 30, 50, 75 and 90 ball bingo games, slots and more. Play slot titles including, Dog N Roll, Santa In Town and Fish Toons. Deposit £10 get £40 to play with (300% bonus). Cozy Games site Merlin Bingo offers the usual big deposit bonuses and games. Play 30, 50, 75, 80 and 90 ball bingo and also available to play on your mobile or tablet. Deposit £10 get £30 bonus. LMAO Bingo is part of the Live Bingo Network running on the Cozy Games software, it looks to be a fun site. All the usual offers and promotions with a selection of Bingo and Slot games to enjoy. Deposit £10 and get £40 to play with a 300% bonus. 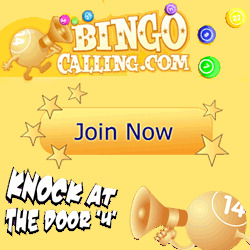 A new bingo site for the Live Bingo Network using Cozy Games software. Large range of bingo games and slots including 30, 50, 75, 80 and 90 ball bingo. This site is powered by Cozy Games. Great bingo rooms to enjoy plus a huge selection of all the favourite slot games to keep you entertained. You must make a real money cash deposit of between £10 and £100 to qualify for the 200% welcome bonus. This bonus is only valid on first time deposits at Hippo Bingo. The welcome bonus will be credited instantly and can only be used to play in the 90 ball and 75 ball bingo rooms. The Promoter maintains the right to disqualify or exclude any player from this promotion, at its sole discretion. The Promoter reserves the right, at any time, to cancel, modify or suspend the Promotion and the prizes if, in its sole judgement, the promotion is not capable of being conducted as specified. The Promoter may terminate the promotion at any time without any prior notice. General terms and conditions of the site apply. These terms and conditions and any matters relating hereto shall be governed by and construed in accordance with the laws of Gibraltar and shall be subject to the exclusive jurisdiction of the Gibraltar courts. Hippo Bingo is on the Dragonfish network but has a refreshing, modern and rather colourful look complete with Hippo. Register and deposit £10 get £40 to play. New site running on the live Bingo Network and powered by Cozy Games software, Honey Bees Bingo offers, 30, 50, 80, 75 and 90 ball bingo games, slots, scratch cards and casino games. Play top slots, Plushie Pleasure, Dog n' Roll and Royal Treasures. 300% welcome bonus on your first deposit. So deposit £10 get £40 to play with. New site from Cozy Games running on the Live Bingo Network. Bingo games include 90, 80, 75, 50 and 30 ball. Casino games available, Blackjack, Keno and Roulette. Huge selection of Slot games. Galaxy Bingo is part of the Live Bingo Network on the Cozy Games software. Fab selection of bingo games including, 75, 80 and 90 ball games. casino games, Scratch cards and slot games on offer. Newbies get a 300% welcome bonus. Gravy Train Bingo powered by Cozy Games software, runs on the Live Bingo Network - all the usual games, offers and bonuses you'd expect. Grimms Bingo is part of the Live Bingo Network. Designed for the Swedish bingo market in mind Grimms Bingo is available in English and Swedish. Epic Bingo runs on the Best Bingo Network and is powered by Cozy Games software. Offering players a huge amount of games, jackpots and bonuses. Play 30, 50, 75, 80 and 90 ball bingo games for as little as 1p a ticket! Good selection of casino games, scratch cards and mobile games. Deposit £10 play with £40, 200% bingo bonus, 100% games bonus. Dragonfish bingo site with standard layout if a little more colourful than usual! Hippy styled characters and a camper van feature throughout. Offering players a good selection of bingo games and progressive jackpot games, promotions and slot games including, X Factor, Roland Rat and Starburst. Loyalty scheme available where every month you have the chance to cash in big! 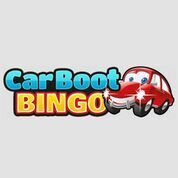 Car Boot Bingo offers new players a 100% bonus + 20 bonus spins. New players 18+ | 100% match bingo bonus (30 days expiry) + 20 extra spins (7 days expiry) on fluffy favourites on 1st dep, | £10 min & £500 max dep | Wagering requirements 4x on Bingo apply on deposit bonus & 40x on slots apply on winnings from the extra spins | T&Cs apply. Operated and powered by Cozy Games management Ltd, this site offers a whole host of great offers and bonuses. Play bingo games from as little as 2p a ticket. Good selection of Slot games. Celeb Bingo is a Dragonfish site but there's not much of a celeb vibe about it! Play 75, 90 and High 5 bingo games, mobile games and slots. Loyalty plan for players plus refer a friend bonus. First time depositors only. 150% Bingo Bonus on a minimum deposit of £10. Maximum bonus £100. Bonus has to be wagered X4 times before can be cashed out with its respective winnings. Winnings from bonus money can be cashed-out up to a value of £400. Withdrawal restrictions apply.General Site T&Cs apply. Dragonfish Network site with a nice new design. 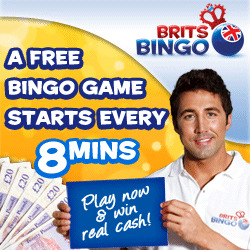 Free daily bingo games make this site worth playing at if the boring promotions don't put you off. Play 75 and 90 ball bingo games, casino games, scratch cards and slot games. Running on the Live Bingo Network and powered by Cozy Games Software, Champers Bingo has a good bit to offer players, great selection of Bingo games including 30, 50, 75, 80 and 90 ball games, casino games, scratch cards and slots. Arabian Nights and Big Ben are among a few of the slot games on offer. Register for 300% first deposit bonus up to £120. Online since 2006 and running on the Cozy Games Network, Big Heart Bingo donates a percentage to charity. The site offers 30, 50, 75,80 and 90 ball bingo games. Play casino games such as Keno, Blackjack and Deuces Wild, top Slots include, Arabian Nights, King of Slots and Fluffy Favourites. Join bingo Crazy today and get the following bonuses: 1st Deposit-300%, 2nd Deposit-150% and 3rd Deposit- 100%. Bingo Crazy is a fun bingo site on the Live Bingo Network and powered by the Cozy Games. Enjoy free bingo daily to win real cash. Over 35 games can be played for real cash. 100% cash match on first deposits up to £100 so deposit £10 get £20 to play. First time depositors only. 100% Bingo Bonus on a minimum deposit of £10. Maximum bonus £100. Bonus has to be wagered X4 times before can be cashed out with its respective winnings. Winnings from bonus money can be cashed-out up to a value of £400. Withdrawal restrictions apply. General Site T&Cs apply. This is a Dragonfish network site desperately in need of a makeover, not very appealing to any player at the moment. Play 75, 90 and High 5 bingo games and slots. Get 150% cash match on first deposits of £10 up to £100, so deposit £10 get £25 to play with. First time depositors only. 150% Bingo Bonus on a minimum deposit of £10. Maximum bonus £100. Bonus has to be wagered X4 times before can be cashed out with its respective winnings. Winnings from bonus money can be cashed?out up to a value of £400. Withdrawal restrictions apply. General Site T&Cs apply. Owned by Cassava Enterprise and powered by Dragonfish software, Bingo In The Sun offers 75, 90 and High 5 bingo games, scratch cards, casino games including Blackjack, Roulette and Monopoly. Register and deposit £10 get £50 to play with a 400% first deposit bonus. Bingo MagiX is an established bingo site now running on the Lucky Duck Bingo Network with Game Village Bingo. The site is powered by Cozy Games software with 75, 80 and 90 ball bingo plus slots and casino games. refer a friend scheme available. 300% on first deposit, so deposit £10 get £40 to play. Bingo Flame is part of the Live Bingo network and runs on the cozy Games Platform. Offering 30, 50, 75, 80 and 90 ball bingo games for as little as 1p per game. Play classic casino games like Poker, Roulette and Blackjack. Enjoy a 300% welcome bonus. Bingo Hero is part of the Cozy Games platform, offering the usual great bonuses that Cozy offer. Play 30, 50, 75, 80 and 90 ball bingo games. Offering a great selection of casino games including, Keno, Classic Roulette and Classic Blackjack, scratch cards and slots available. 75% bonus and 5 spins plus 500% bingo tickets. 18+ Depositors | 75% match bingo bonus + 500% match bingo tickets on 1st deposit, 3 days expiry | £5 min & £500 max dep | 5 Spins (3 Expiry) on Sugartrainxmas Slot game only | Wagering of 4X on bingo apply for Bingo Bonus & winnings from tickets | 40X on slots apply for winnings from spins | Further T&C's apply. Booty Bingo is powered by Cozy Games and part of the Live Bingo Network. Play 75, 80 and 90 ball bingo games, casino games including Keno and classic Roulette and slots. Loyalty scheme available. Deposit £10 and play with £40 that's 300% bonus on your first deposit. A Cozy Games site offering a great selection of bingo games starting from as little as 2p per ticket. Also on offer are casino games including Roulette, Blackjack Deuces Wild and Keno. Play slot games such as Mystic Wilds and Arabian Nights. Get 400% first deposit bonus up to £100 so deposit £10 get £40 bonus + 20 free bingo vouchers. Enjoy free bingo rooms where you can win real cash jackpots. Good selection of slot games including Gonzo's Quest and Jack And The Beanstalk, progressive jackpot slots and featured games. Paypal accepted. Deposit £10 get £40 to play with 300% 1st bonus. New players 18+ only | 300% match bingo bonus up to £120 on 1st dep, 30 days expiry | £10 min & £500 max dep | Wagering requirements (4x Bingo) & T&Cs apply. 18+ only, All Players | Bingo room will be available only for first 7 days from your registration day | Card validation required | Winnings will be in form of Bingo Bonus only and Wagering (4x on Bingo) apply on winnings | Further T&Cs Apply. 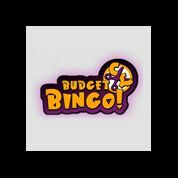 Part of the Live Bingo Network, Aunty Acid Bingo runs on Cozy Games software and is a fun bingo site offering players, 30, 75, 80 and 90 ball games, casino games, scratch cards and slot games including, Mystic Wild and The Hunt. Deposit £10 get £40 to play with 300% first deposit bonus. New Retro, Vintage style bingo site from Cozy Games, running on the Best Bingo Network. Lots on offer from a huge range of bingo games including 35,50,75,80 and 90 ball types, casino games, slots and more.Boku accepted here. Deposit £10, get a 300% bonus giving you £40 to play. 300% match on your first deposit up to £120. Deposit £10 get £30 to play with a 200% welcome bonus plus access to daily free bingo games. First time depositors only. 200% Bingo Bonus on a minimum deposit of £10. Maximum bonus £100. Bonus has to be wagered X4 times before can be cashed out with its respective winnings. Winnings from bonus money can be cashed-out up to a value of £400. Withdrawal restrictions apply.General Site T&Cs apply. Deposit £10 get £40 to play on your first deposit. Play2Win offers a free bingo room where you can win real cash that you can withdraw.Play2Win Bingo is powered by Cozy Games software. .
Deposit £10 get £40 to play with a 300% bonus. Quackpot Bingo is another addition to the ever-popular Live Bingo Network using Cozy Games software. Deposit £5 and get £20 to play with 300% welcome bonus use code SAFARI1. Code SAFARI1: 1st deposit only. Min deposit £5. Max bingo bonus £15. Bonus has to be wagered 6 times before can be cashed out with its respective winnings; Winnings from bonus money can be cashed out up to a value of £400; Further T&Cs apply. Dated looking site on the Dragonfish Network, that is desperately in need of updating. But if you love big cats and safaris then this will appeal to you. Usual bingo games and promotions on the network. Register, deposit and get a 300% first deposit bonus up to £120. Sailor Bingo is another Cozy site running on the Best Bingo Network. Ships ahoy with a great selection of Bingo Games including 30, 50, 75 and 90 ball games, Casino Games, Scratch Cards and Slots. Slots include, Santa In Town, Aztecs and Toony Jack. Boku accepted here. Make a deposit of £10 or more and get a 300% bonus up to £120. Snappy Bingo runs on the Live Bingo Network. Operating on Cozy Games software Snappy bingo has all the usual bingo games along with a good selection of slots and promotions on offer. Operated by Cozy Games with NetEnt slots, SweetHome Bingo brings all things sweet to you, free sweets available on your first depsoit, while stocks last. Play 30, 50, 75, 80 and 90 ball bingo games, Casino games and slots. Top titles include, Dog N Roll, Eater Bunny and Big Ben. 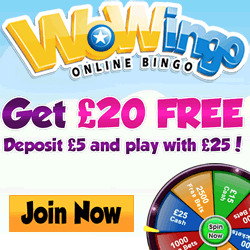 Wow Bingo is operated by Cozy Games and is full of offers and bonuses for new and existing players with. They have been offering some of the very best UK online Bingo games and promotions for over 8 years including scratch cards and casino games. No matter if you're after 80, 75, 90 or 30 ball bingo games, or slots including Wild Vegas and Rolling in the Dough, WOW Bingo has something to meet your needs. Get 100% match up to £50 + 50 spins. New Dragonfish launched in April 2013. Nothing special about this site which is just another site on the Dragonfish network that has no unique features. Shame really. Register and deposit £10 at Katie's Bingo and receive £40 to play with a 300% welcome bonus + 10 spins. Or get 150% Slots Bonus use code: SLOTS. Terms: Deposit £10-30, Max. Bonus £90, First deposit only, no code required. Free spins valid 7 days & win max £5 Game bonus. 80x games & 4x bingo wagering required to withdraw bonus & associated winnings. Withdrawal & Further Terms Apply. Katie's Bingo is player focused and offers exciting promotions, bonuses and prizes. Play 75 and 90 ball bingo games, casino games and slots. Top slot titles include, Sugar Train, Starburst and Gonzo's Quest. Loyalty scheme and refer a friend available. PayPal accepted. Deposit £10 right up to £500 and get a 50% bonus + 20 extra spins. Deposit £10 play £100 worth of bingo tickets an 10 bonus spins. New players only. Free Spins: No wagering requirement. Welcome Bonus: Wagering occurs from real balance first. 50x wagering the bonus, contribution may vary per game. Available on selected games only. The wagering requirement is calculated on bonus bets only. Bonus is valid for 30 Days from issue / free spins valid for 7 days from issue. Max conversion: 5 times the bonus amount or from free spins: $/£/€ 20. Full Terms Apply. 100% welcome bonus up to £100. This bingo site runs on the Dragonfish network and is in need of a make-over. Play 75, 90 and high 5 bingo games, casino games, scratch cards and slots, get £10 when you refer a friend ( upon sign up and deposit ). Brought to you by Progress Play, Sin Spins is a brand new casino for 2016 and packs a punch in the design stakes with it's striking black and red theme. With a whole host of casino games available, you can also enjoy all your favourite slots such as Jimi Hendrix, Aloha! Cluster Pay and Bar Bar Black Sheep. Paypal allows customers to transfer money between accounts without the recipient ever having access to their bank details. The only information received is the customer’s email address, which is linked to their Paypal account. This means you don’t have to provide bingo sites (or any other site that accepts Paypal as a method of payment) with your bank or credit card details. The confidentiality offered by Paypal is one of the reasons it has such widespread appeal. If you already have a Paypal account then using it to pay for online bingo is quick and easy. If you don’t yet use Paypal then setting up an account is relatively painless. Once you’ve registered your email address and created a password you need to add your payment information –usually a credit or debit card. Paypal will then send you an email with a link to click on to verify your account. Once you’ve done that you’re good to go. As Paypal is so popular and enjoys a great reputation, it is the preferred option for many people playing online bingo. It allows players to deposit money and receive winnings without ever having to give out their financial details. All you need to do is go to the banker or cashier section of the site, choose Paypal as your payment method and type in the amount you wish to deposit. Once you’ve logged in to Paypal the payment will be processed quickly. If you have money sitting in your Paypal account then this money will be used first. Otherwise, Paypal will process the payment using your preferred credit or debit card. As well as making payments through Paypal you can also use the system to receive money into your account. This means you can take winnings from a bingo site and place it into your Paypal account. You then have the choice of leaving the cash there to spend on another site or transferring it into your bank account. The vast majority of online bingo sites do not charge any extra fees for players choosing to make deposits or cash out through Paypal. How safe is paying for online bingo with Paypal? The short answer to this is extremely safe. As Paypal acts as a safeguard between you and the bingo site, none of your personal details are revealed. The only information the bingo site will see is the email address tied to your Paypal account and Paypal will not share any of your personal or banking details with the bingo site. Paypal uses up-to-the-minute data encryption technology to ensure that all your information is secure. On top of the lengths Paypal goes to in order to keep customers’ details secure, the company is also rather careful in regards to online gambling. For example, Paypal only allows customers to use its services for bingo sites if that person lives in a country where online gambling is legal. Also, the site must be registered in a country where online gambling has been legalised. On top of that, Paypal endeavours to ensure that any bingo site it works with is properly licensed. While this policy is by no means foolproof, it does help players generally weed out the rogue sites from the reputable ones. Other than security, the main attraction of using Paypal to make deposits and withdraw winnings on online bingo sites is convenience. Once you have set up your Paypal account you can make and receive payments that are processed within seconds. As well as the website version of Paypal, the company also has an app so you can easily access your account when you’re on the go. This means that whether you like to play bingo from the comfort of your armchair or on your mobile during the daily commute, you can add and withdraw funds wherever and whenever you like.